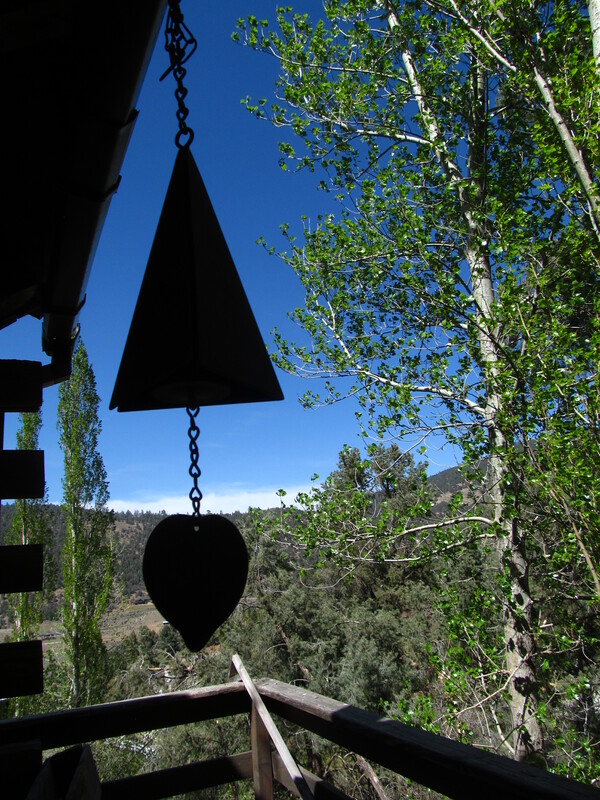 Springtime surrounds our Cabin . . .
Wow! What an amazing transformation from Winter to Spring! 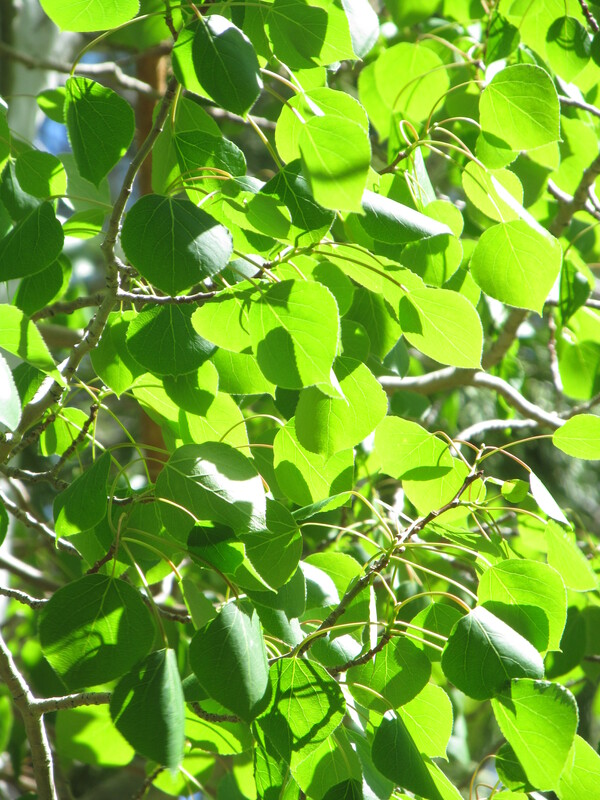 When I left three weeks ago, silver-barked tree trunks and tangled branches of towering cottonwoods and poplars captured the sunlight. Fuzzy catkins and brown, dried buds crunched underfoot. Instead of a world of black, grey and white, green fluttering leaves create a soft bounced light. Soothing. Shimmering. Representing the Hope of Spring! Dancing, bobbing foliage create quiet swooshing sounds. The air sweet with the smell of Nature waking up! How wonderful our Creator to have arranged such representation in the physical world of our inner, spiritual journey. Played out before us with every revolving year. Life, death, rebirth. All of Nature confirming how precious life’s gift. How temporal, yet eternal. Cyclical. Now our Cabin has the magical feel I’ve longed for. All Winter, snowy vistas, stark, cold — contained the promise. Yet only now has the fruit ripened on the tree. Gardening and horseback riding. Hiking and dreaming and writing poetry. Sipping coffee, the sweet fresh air filling our Cabin through the first-time open windows. Absolutely beautiful. Spring tends to come suddenly and briefly in these parts. I’m trying to muster energy to clean so that my home will have more of that magical feeling about it. Yes, how quickly we tend to view the greenery as “normal” once it’s here. Spring is our reminder to savor every magical moment of Nature’s bounty — and I agree with the need to get the house in order. Tough one to motivate, tho.